I have been a big LPGA fan for a very long time. The first LPGA tournament I ever attended was back in 1974, and I remember following Jan Stephenson for 36 holes. The LPGA was quite popular back then, and would become even more popular in 1978 when a rookie named Nancy Lopez came onto the scene. Nancy would go on to win the Rookie of the Year, Vare Trophy, and Player of the Year in the same season. Nancy was making headlines and the LPGA was thriving. In the decades to come the game would still remain popular with players such as Annika Sorenstam, Lorena Ochoa, and Se Ri Pak bringing new fans to the game. Unfortunately, things started changing for the worse as we entered the 21st century. 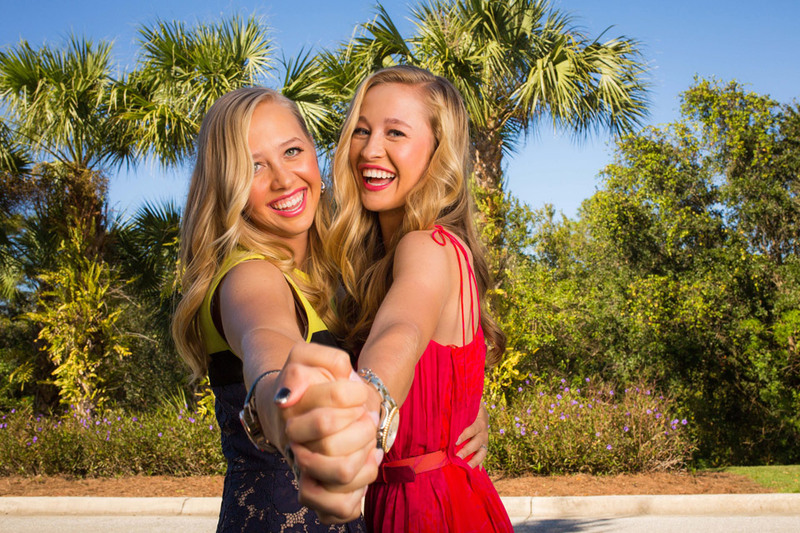 Jessica Korda Wins in the Bahamas! Just two short weeks ago when I did my Top 30 Player of the Year Predictions for 2014, I picked Jessica Korda as the player most likely to have a breakout season. She has already made me look good today by winning the Pure Silk Bahamas LPGA Classic. Jessica was victorious by one shot over Stacy Lewis. Stacy, playing one group ahead of Jessica, failed to birdie the par five final hole when her approach shot sailed over the green. Jessica, needing a birdie to win, made things exciting when her approach shot also sailed over the green. She then putted to within about 6 feet and drained the winning putt from there. Earlier in the day it looked like several other players had a better chance of winning, but all would falter. 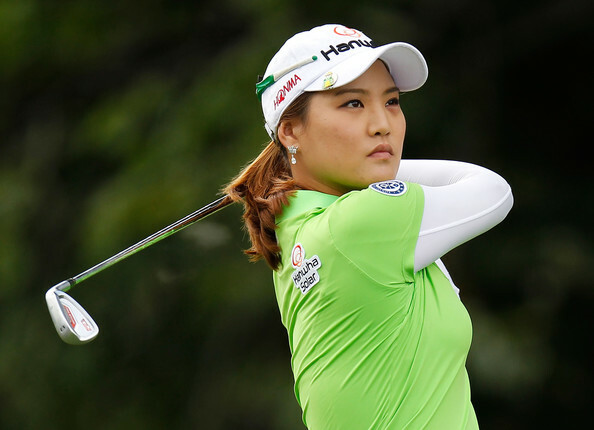 It is time to start the 2014 LPGA season. With 5 new tournaments (including the International Crown), more prize money, and more television coverage, the 2014 season promises to be the biggest and best ever. 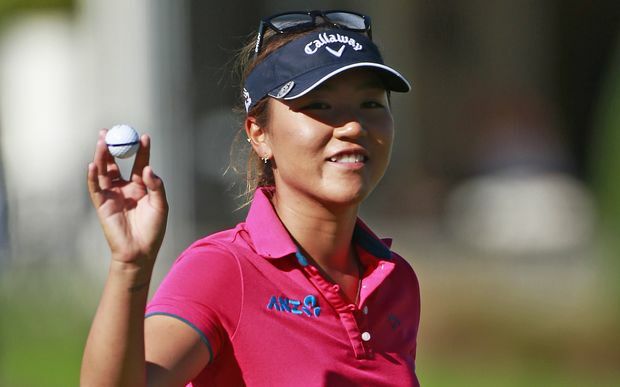 The season will open in the Bahamas with the playing of the Pure Silk Bahamas LPGA Classic. This will be tournament #1 of 32 official tournaments this season. ** Only 36 holes were played in 2013, over a 3 day period. We are just about a week away from the beginning of the 2014 LPGA season. With 33 tournaments on the schedule (including the International Crown), this year promises to be the most interesting season ever. 1- Stacy Lewis (3) - I kept going back and forth with this one because I truly believe that this might go back and forth all season, and anyone in my top six could win this Hall of Fame point. I finally decided on Stacy because she is just so consistent. I am thinking that she might turn more of those 19 top ten finishes into victories. 2-Suzann Pettersen (2) - She was the best player on the planet the second half of last year. If she continues playing that way she will win it all. My gut feeling is she will duplicate last year's 2nd place finish, and be a bridesmaid again. 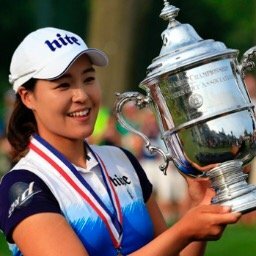 10- Can the American team shake off two consecutive Solheim Cup defeats and make a better showing at the International Crown? 9- What effect will Paula Creamer's recent engagement (if any), have on her 2014 season? Will she get that elusive 10th win? 8- Is Beatriz Recari really the best of the young Spaniards (Ciganda, Munoz, Mozo), or did she just have a career year? 6- Can Gerina Piller, Pornanong Phatlum, and Lizette Salas follow up their breakthrough seasons and take it to the next level?